NASA's Juno spacecraft is shown in orbit above Jupiter's colorful clouds in this artist's rendering. Image credit: NASA/JPL-Caltech. Even though NASA is no longer in the business of deploying manned-missions to outer space, they continue to explore the cosmos in ways that have never before been possible. Their next target is Earth’s bigger, gassier neighbor: Jupiter. This is a pretty big deal in the world of astrophysics. NASA scientists theorize they will be able to determine the origin of The Giant Planet, “and thereby the solar system” by measuring the amount of water and ammonia in Jupiter’s atmosphere. But scientists will have to wait a few years to test their theories. Even though Juno is traveling at a relative speed of over 13,000 miles an hour, it is not scheduled to reach its final destination until July 2016. And the ride to Jupiter is not exactly a clear path. 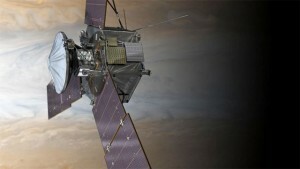 Juno will face many obstacles – including large mentors – that can potentially derail the $1.1 billion project. Thankfully, scientists can rely on old “maps,” or astro-photographic images of the night sky to plan a flight path that will steer the spacecraft away from debris. “Juno, for example, in order for it to be successful they have to design it. And one of the things they have to design it for is to protect it from meteoroids out in space. Well we never measured meteoroids around Jupiter, because we don’t go there very often, right? So we have to take what we’ve learned here at Earth to help us design that spacecraft to go to Jupiter and those negatives [at the Astronomical Photographic Data Archive] helped formulate the model we used to design that spacecraft to go to Jupiter. Dr. Cooke is referring to a collection of nearly 150,000 old astro-photographic plates and film known as APDA, or the Astronomical Photographic Data Archive. The APDA collection is stored at PARI’s secure facility in Western North Carolina. 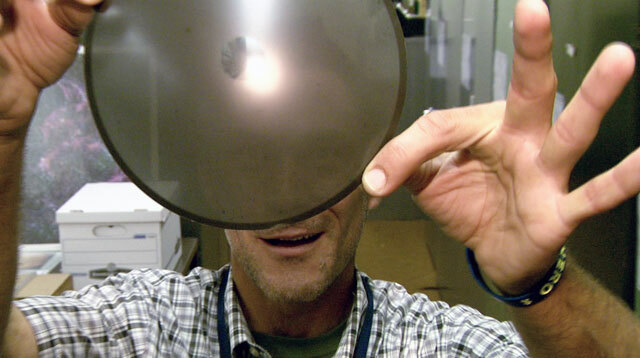 Brendan Fallon of the American Meteor Society examines film in the APDA collection. 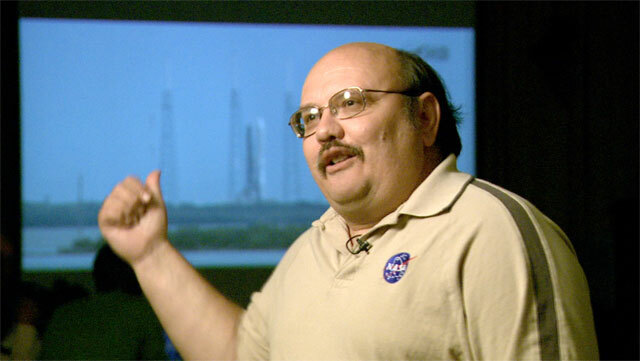 The connection between APDA and the Juno mission came full orbit during this year’s annual NASA Fireball Workshop, which took place at PARI’s Rosman, North Carolina campus. Attendees were able to watch the Juno launch and then walk into the archives to hold the original pieces of film that helped Juno’s engineers develop a safe flight path. By relying on old astronomical plates and film – some of which date over 100 years old – today’s astronomers can safely stand on the shoulders of their predecessors and reach for the stars, without fear of being knocked down by meteors. As a producer/reporter for UNC-TV, David Huppert has spent the last 6 years immersing himself in the Old North State's culture and folklore, consuming as much of state's rich legacy (and barbecue) as possible. David returns to UNC-TV after a one-year hiatus in NYC where he produced for CBS This Morning. Since 2000 David has produced pieces for public television (UNC-TV, Charlie Rose) and commercial news (CBS, FNC’s The O’Reilly Factor, CNBC).